Some people have it all. So what do get a producer who already has everything? 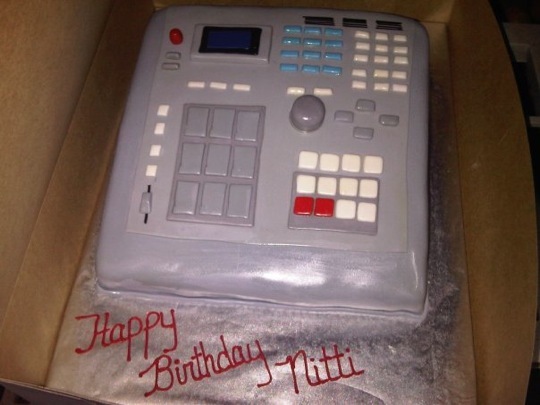 An Akai MPC3000 birthday cake, of course. haha! wifey made me a 2000xl b-day cake a few years ago. i got a picture somewhere. Excellent blog! Do you have any tips and hints for aspiring writers? I’m planning to start my own blog soon but I’m a little lost on everything. Would you suggest starting with a free platform like WordPress or go for a paid option? There are so many choices out there that I’m totally overwhelmed .. Any suggestions? Appreciate it! Wow, that cake is so believable and the buttons look like they are almost glowing. A happy birthday indeed!